Permian granulites associated with noritic intrusions and websterites are a common feature of the post-Variscan European crust. Such granulites are common in the Southern Alps (e.g. Ivrea Zone), but occur only in the Gruf Complex in the Central Alps. 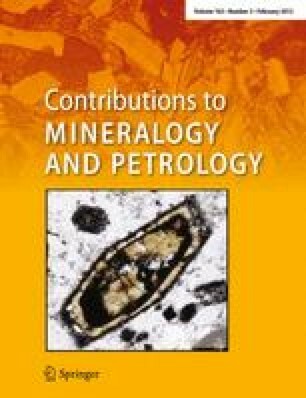 To understand the geotectonic significance of these granulites, in particular in the context of Alpine migmatisation, zircons from 15 high-grade samples have been U–Pb dated by SHRIMP II analysis. Oscillatory zoned zircons from charnockite sheets, interpreted as melts generated through granulite facies fluid-absent biotite melting at 920–940°C, yield ages of 282–260 Ma. Some of these zircons contain inclusions of opx, unequivocally attributable to the granulite facies, thus confirming a Permian age for the charnockites and associated granulites. Two samples from an enclave-rich orthogneiss sheet yield Cambrian and Ordovician zircon cores. Two deformed leucogranites and six ortho- and augengneisses, which compose two-thirds of the Gruf Complex, give zircon ages of 290–260 Ma. Most zircons have milky rims with ages of 34–29 Ma. These rims date the Alpine amphibolite facies migmatisation, an interpretation confirmed by directly dating a leucosome pocket from upper amphibolite facies metapelites. The Gruf charnockites associated with metre-scale schlieren and boudins of opx–sapphirine–garnet–granulites, websterites and gabbronorites can thus be identified as part of the post-Variscan European lower crust. A geotectonic reconstruction reveals that this piece of lower crust stranded in the (European) North upon rifting of the Neotethys, such contrasting the widespread granulite units in the Southern Alps. Emplacement of the Gruf lower crust into its present-day position occurred during migmatisation and formation of the Bergell Pluton in the aftermath of the breakoff of the European slab. The online version of this article (doi: 10.1007/s00410-011-0676-6) contains supplementary material, which is available to authorized users. Three anonymous reviews helped clarifying several aspects of the paper. The authors were supported by the ETH Zurich.